This album sounds like it's got a high gloss enamel over it and I mean that as a good thing. The reverb is dripping off of every song, like the sound is trying to pass through this enamel and explode. It's got a fogginess to it and yet, at the same time sounds intentional and smooth. They takes the raw sound of their punk roots and tone down the abrasiveness while keeping the energy up. The main bite of Disappers though is the pounding rhythms. The rhythms aren't catchy per se, but infect you none the less with how driven they feel. Disappears is a kraut rock charged melody machine that takes itself pretty seriously, and it's so nice. Last year the self titled debut from Chicago's Smith westerns manged to slip by many despite positive reviews (even getting an honorable mention from Pitchfork in their best of the year list). Not to let the same mistake happen again SW return and are ready to take over our stereos. The first album had a feeling that they where running trough it, in a good way, kinda like kids running through a field instead of stopping to enjoy the scenery. 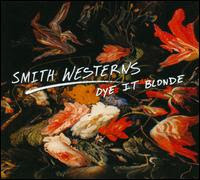 Compared to their first album "Dye it Blonde" is more pastoral, it's willing to really explore and expand on an idea. So they've come back with their flashy guitars and catchy rhythms and you know what? It's great. The production value is an improvement on this album. The spacey/Psych guitars in "All Die Young" make a huge impressions on the song, having a three minute song feel like it continues to infinity. Jumpy, poppy leads take over most of the album though, making you wish you had more than ten toes to tap. It should also be said that this was a tough week to pick from. Honorable mentions : Electric Wizard, Cage the Elephant. Louis Vasquez, A.K.A. 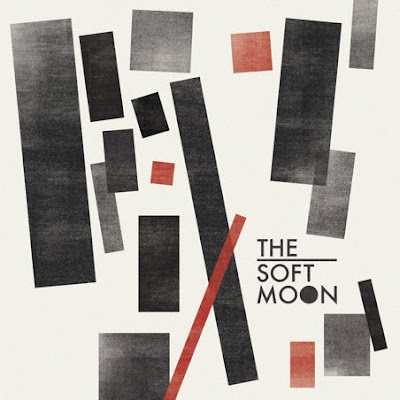 The Soft Moon, brings us music that is Moody, atmospheric and full of wonderful post punk rhythms. This is music that sounds amazing and makes you really take each song apart bit by bit. SM joins Joy division style bass with dark pop guitars making for really capturing moments. 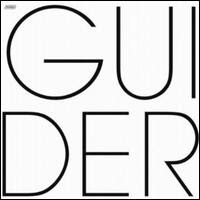 The percussion and production are the main contemporary components sort of reminding you of current shoegaze music. The vocals are almost completely lost but in a good way, they're used much more as a texture than something that pops in front of the music. If you looked for them you'd find them, but it seems like that was never the point. Each song begs for comparison to new and old alike but in the end it still feels like an album that is truly it's own.